Our philosophy at Nodland Cellars is to combine the disciplines of art, music and wine into a blend that engages all the senses of the body. Wine is not a commodity; it is liquid art, beautiful to the eye, pleasant to the nose, it delights the senses as it enters the mouth and becomes one with us as our body assimilates it into muscle and the mind brings with it an experience that enhances the soul. Winemaking is an art and the most original works are created by artists. We employ the traditional methods of winemaking that have been used centuries before the scientific method was devised, from the time when the wines were each unique works of art. Much like the grand estates of Bordeaux, we produce wines of high pedigree and then blends only from a few selected grape varieties. In Europe wines are usually not sold by a varietal name but by the name of the Chateau or the village where the grapes are grown. Often the French wines are made of blends of grapes that have been blended for centuries and based on thousands of years of grape growing experience. Here in the New World, Nodland Cellars is pleased to produce red wines made only from the grape varieties traditionally blended for centuries in Bordeaux, namely Cabernet Sauvignon, Merlot, Cabernet Franc, Malbec and Petit Verdot, but we also have included the obscure Carmenere. 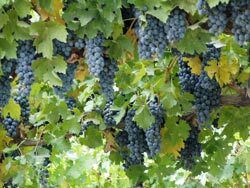 In the late 1800s Europe experienced a grape vine blight which wiped out the grapes vines on the continent. Up to that time Carmenere was the sixth allowed variety for blending in a traditional Bordeaux blend. After the blight Carmenere was not replanted in France and was confused for centuries in Chile as Merlot and in Italy as Cabernet Franc. Over a century later, we have found small plantings of Carmenere in Washington State and have included a percentage of this wonderful grape in our blend, much like you might experience if you were able to taste an early Bordeaux, say from the early 19th century produced before the phylloxera mishap. But the tradition stops there with the names of the grapes because the red wines of Nodland Cellars are an ultra modern American interpretation of the famous French tradition. We use large percentages of Cabernet Sauvignon, Merlot and Cabernet France and very small amounts of Malbec, Petit Verdot and Carmenere. 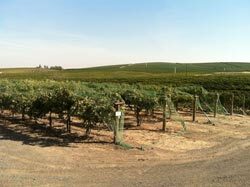 The fruit comes from prestigious and internationally recognized vineyards from Walla Walla, Red Mountain, Yakima and other parts of the Columbia Valley all for one wine. 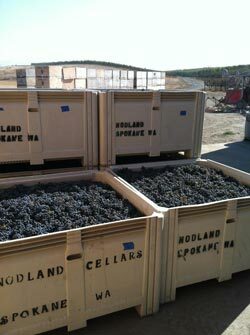 There are no conveyor belts or big machinery at Nodland Cellars. Every stage of the winemaking process is done by hand with an emphasis on cleanliness and quality. 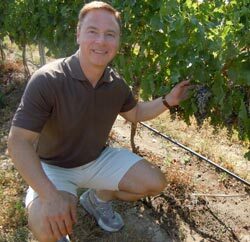 The grapes are hand picked after a long “hang time” and only after achieving full physiological ripeness. At the winery, we hand select each cluster before gently crushing. The must is then allowed to start a natural fermentation for 2-3 days and then are inoculated with cultured yeast. We ferment in traditional open top fermenters and punch down by hand two to three times a day. The must is pressed when tannins are present but not overbearing, which is determined solely by tasting the “must”. The free run wine is put directly in barrel and kept separate and the skins are gently pressed in a small stainless membrane press. In our reserve wines we use 100% French oak barrels which we purchase new and the wine is aged in oak until it is soft and concentrated. When all six of the wines are ready, we conduct blending trials. This is where the art of the winemaking process really comes into play. We take samples of each variety, Cabernet Sauvignon, Merlot, Cabernet Franc, Malbec, Petit Verdot and Carmenere and taste them blind. We then begin putting proportions of the wines together to determine the percentages of each in the final blend. Much like how an oil painter comes up with a blend of colors to create texture and depth in a painting, so we blend the separate varieties into one wine that has structure and complexity. The process is much like how a musician might do a mix down of a song, putting the percussion in the mix for a musical foundation and the bass to fill in the bottom end and bring in the guitar and keyboards to create complex harmonies above the rhythm section. Our wines, once finally blended have color and texture, structure and grace. It is not so difficult to create a big age-able wine and it is not too difficult to create a soft wine that is easy and fun to drink, but it is extremely difficult to craft a wine that is both big and elegant. 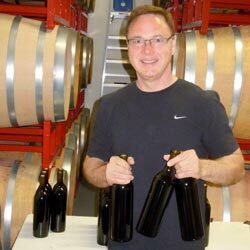 That is the goal of the final blend created by Nodland Cellars, a wine that is smooth and pleasant but that has layers and layers of flavor, that is very complex and that will age for years to come.